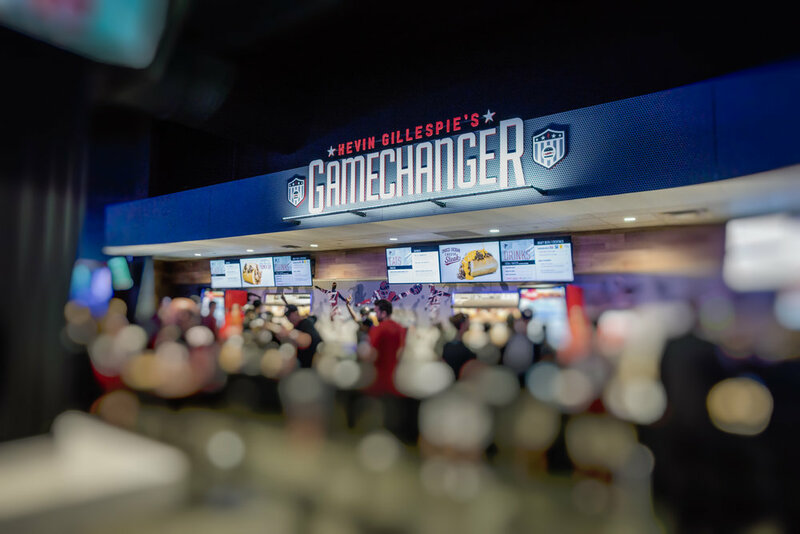 Gillespie’s latest concept, Gamechanger, opened in August 2017 on the 200 concourse western end zone of the Mercedes-Benz Stadium. 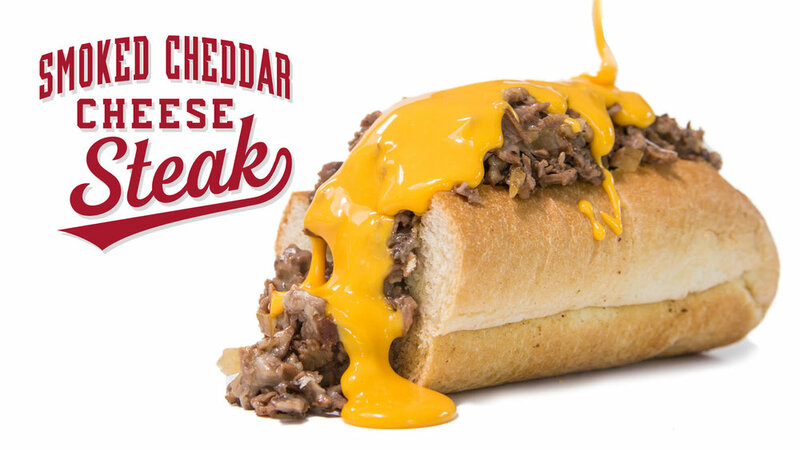 Sports fans and event goers can order from a lineup of tasty bites inspired by Gillespie’s most popular dishes like the “Closed on Sunday” chicken sandwich, as well as other indulgent satisfactions like pork shoulder “French dip,” smoked cheddar cheese steaks, fries and adult slushies. 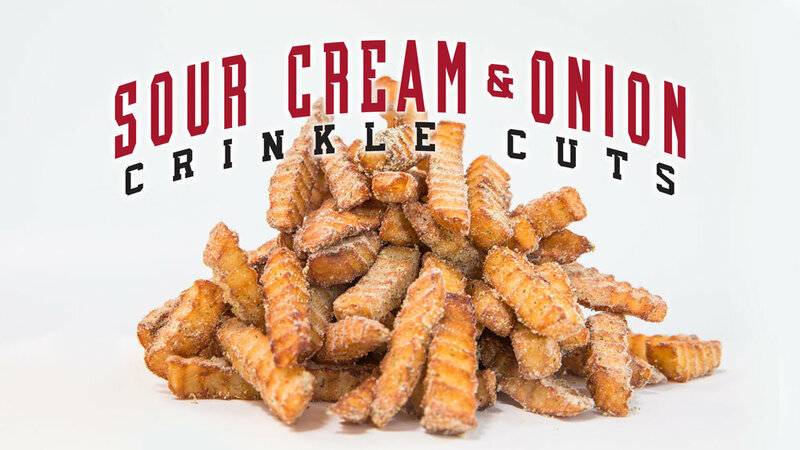 Atlanta’s award-winning chef, Kevin Gillespie, brings his fan favorites to his latest dining experience, Kevin Gillespie’s Gamechanger at Atlanta’s new Mercedes-Benz Stadium, which opened in August 2017. 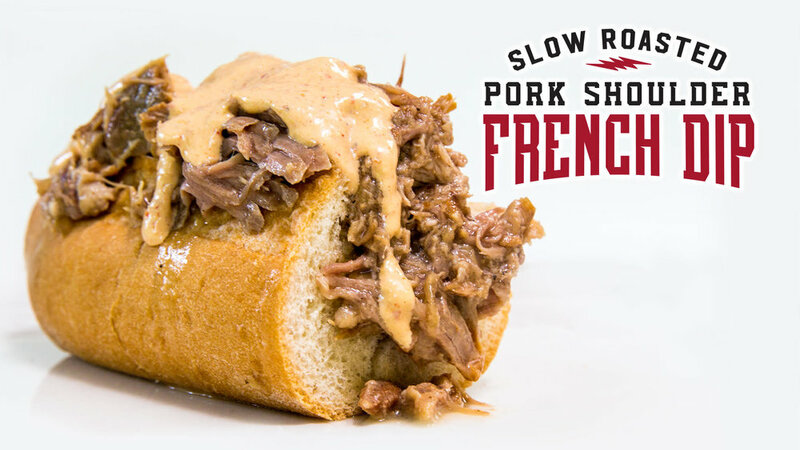 Sports fans and event goers can order from a lineup of tasty bites inspired by Gillespie’s most popular dishes like the “Closed on Sunday” chicken sandwich, as well as other indulgent satisfactions like pork shoulder “French dip,” smoked cheddar cheese steaks, fries! And of course there are drinks, too! Guests can grab a craft beer or quench their thirst with one of our spiked slushies. 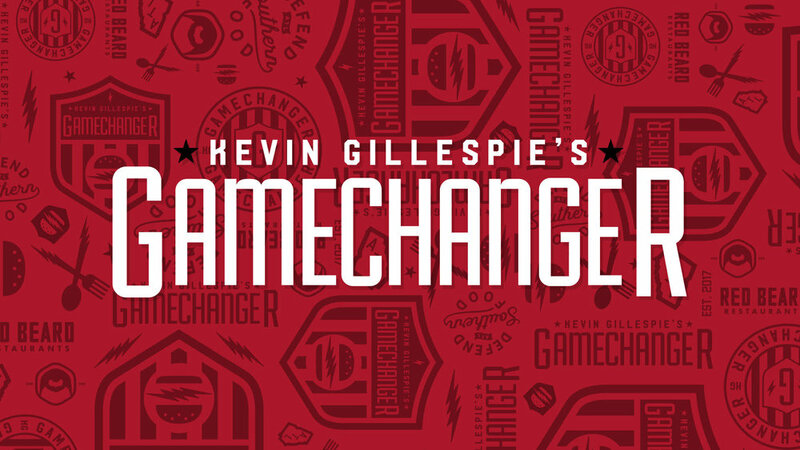 Gamechanger is open for every event, beginning two hours prior to start time and ending at the conclusion of the event.